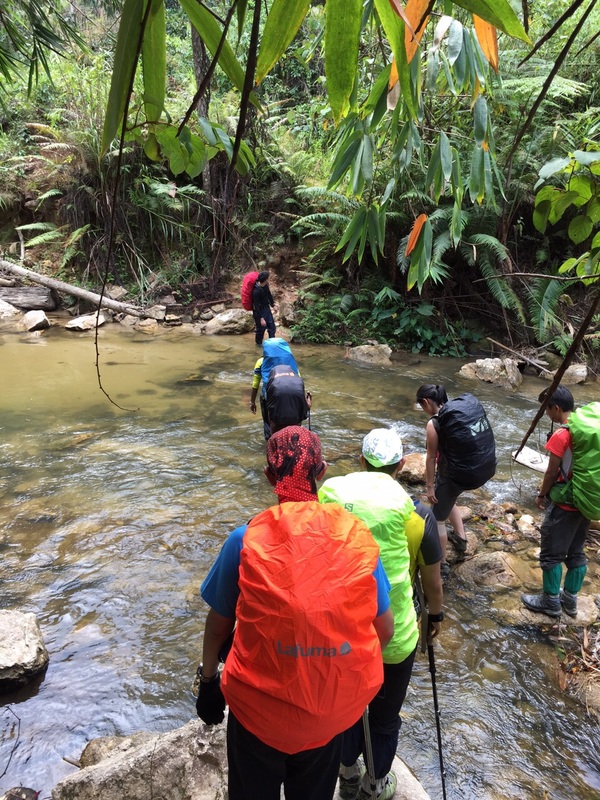 After weeks of relentless training in the hills around Kuala Lumpur and Gunung Nuang, 26 Rangers and leaders from Outpost KL#1 embarked on an expedition to Mount Yong Yap, Peninsula Malaysia’s 6th highest mountain standing at 7,110 feet. 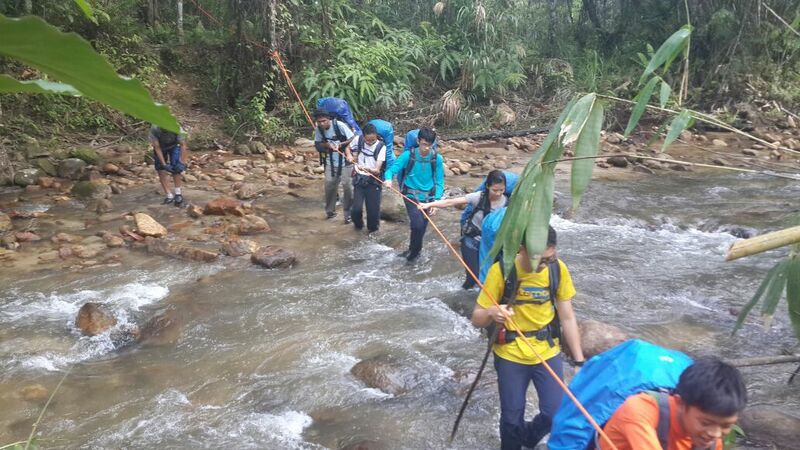 The expedition lasted from 16th to 18th of July 2015, during the Hari Raya holidays. Gathering at the wee hour of 4:00 a.m., we started our journey towards the assembly point at Kampung Raja, Cameron Highlands only to be deterred by the heavy traffic on the highways. However, the traffic and our lack of sleep did not dampen our anticipation for the hike. Upon reaching the assembly point, we savoured our last meal in human civilisation before heading into the forests. 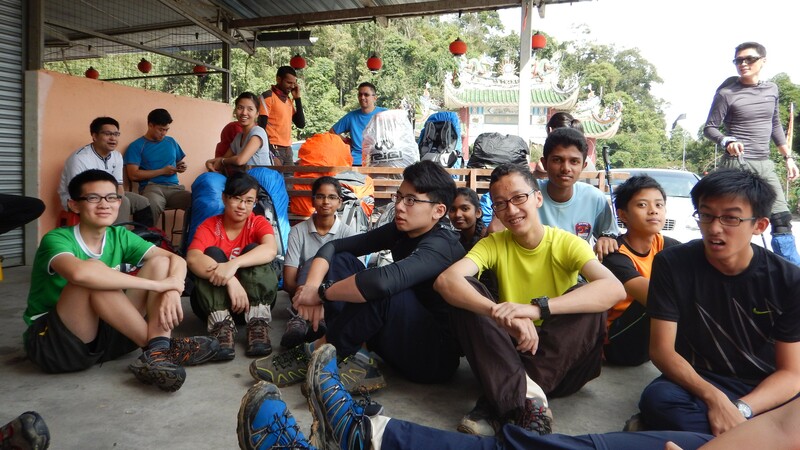 The adventure officially started with the 4×4 ride to Pos Renggil, an orang asli village. It felt as if we were in Jurassic Park, without the dinosaurs. The strong wind in our faces and bumpy ride made the journey uneasy but nevertheless it was filled with laughter and giggles. 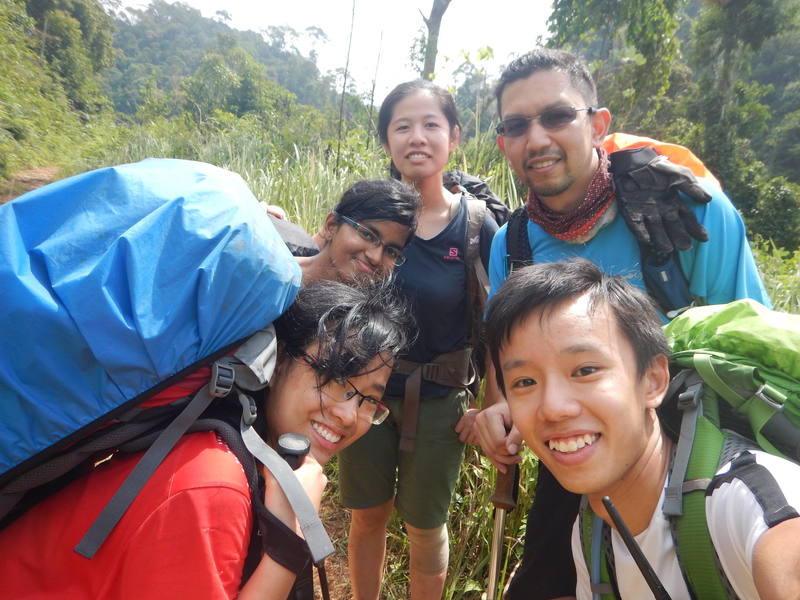 At 1:00 p.m., we began to hike towards Kem Agas, the place we would call home for two nights. The hike up involved pushing through heavily overgrown ferns, bending over multiple deadfalls, avoiding thorns that could damage our attires and bags, and crossing multiple rivers. Following 6 hours of uphill trekking, we finally arrived at Kem Agas and settled for the night to prepare for the 2nd day: the conquest to the summit. “A 10-hour hike awaits us”, our guide informed us on the second day. 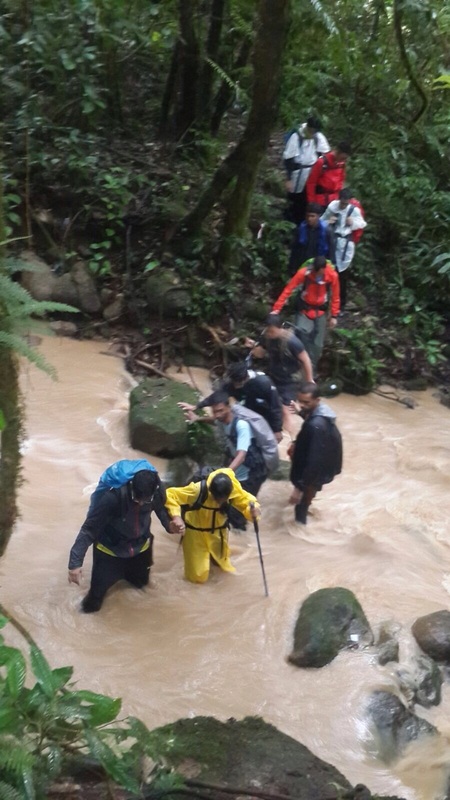 From 7.30 a.m. onwards, we braved ourselves through more river crossings and uphill climbs. 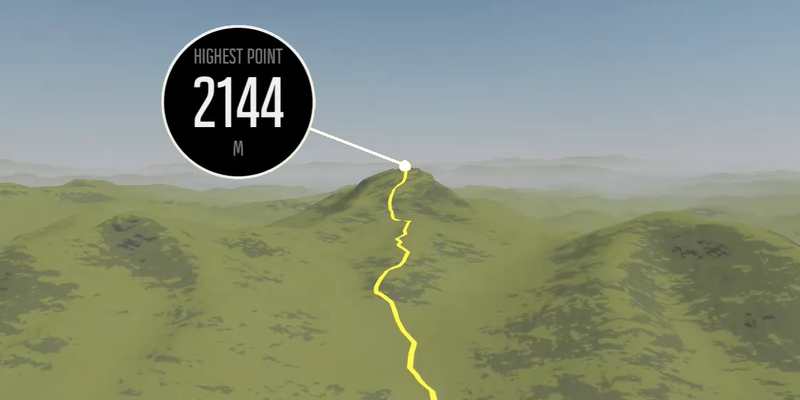 The never-ending climb up was excruciating to bear, but we knew we could not afford to give up at that point of time. 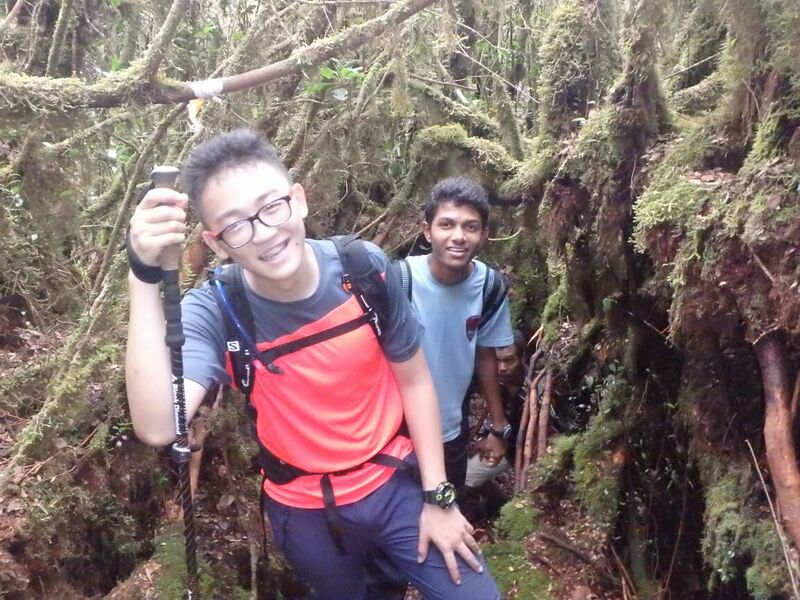 As we attained to higher elevation, we were rewarded with cool breeze and the sight of mossy forest. Yet, the last stretch to the peak was narrow and obstructed with boulders and fallen trees. The route was not straightforward; one had to survey the track to determine the best way to climb up. 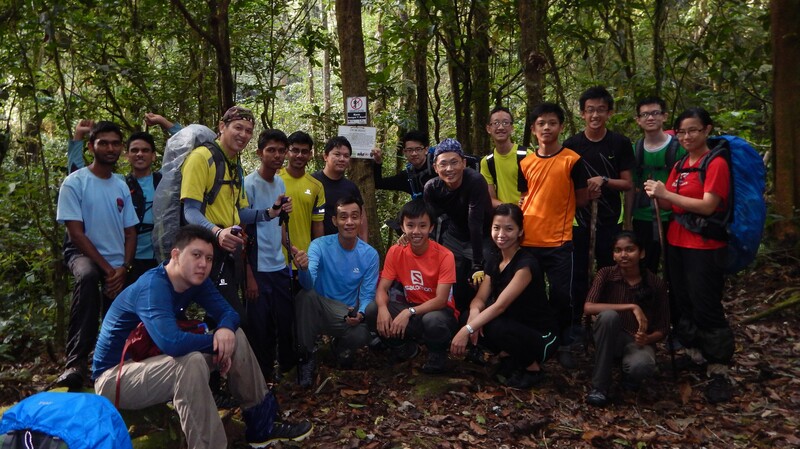 With unwavering determination, we pushed on and finally reached the top of Mount Yong Yap! We took some time to appreciate our achievement and God’s creation. 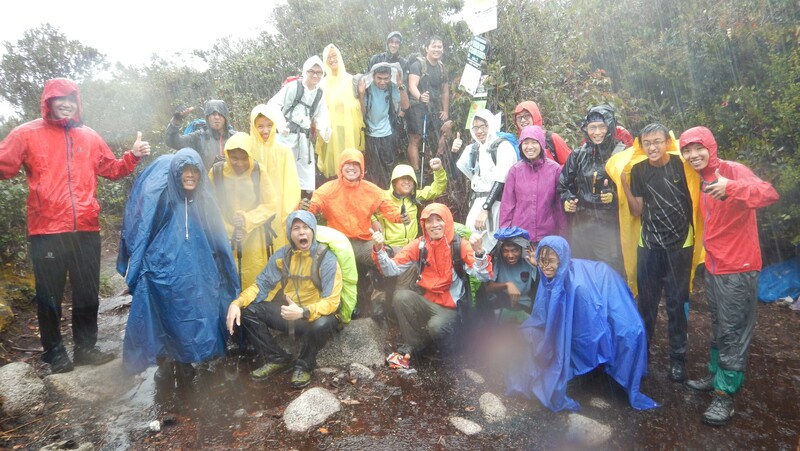 Not long after we summited, it started to rain heavily. The raindrops felt as heavy as marbles dropping unto our cheeks and the rain forced us to take shelter among the bushes. It was cold as we headed down the mud-filled and slippery trail. Our success of conquering the peak has given us the strength to keep calm and carry on. 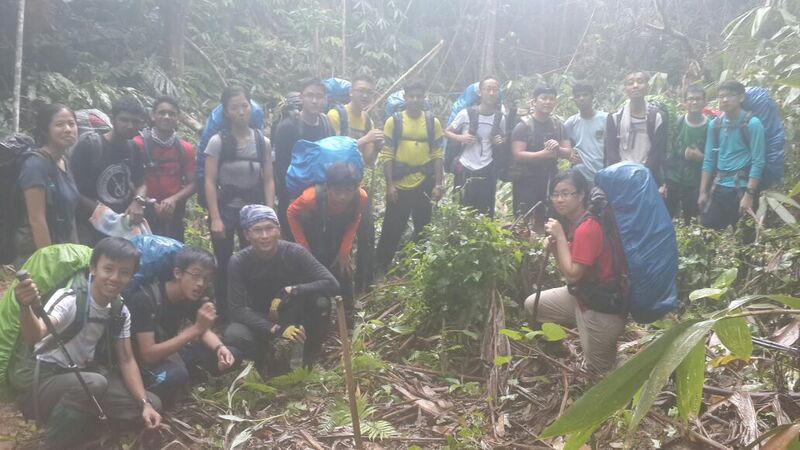 We returned to Kem Agas safely at 6:00 p.m. to rest for the day. At 6:00 a.m. on the third day, we were ready to head back to civilisation. It took us 6 hours to arrive back at Pos Renggil and we celebrated our feat by bathing in the cool, refreshing river. God has displayed his awesomeness through nature and His protection upon us throughout this whole expedition. 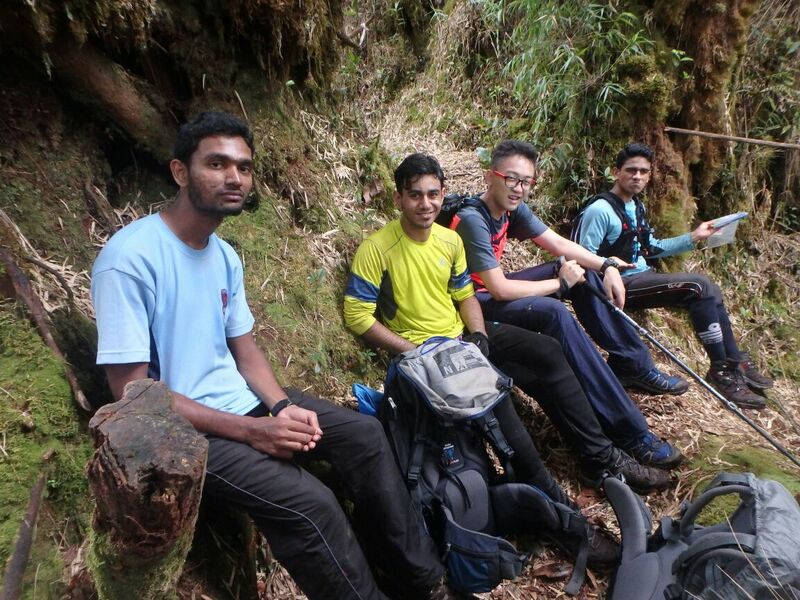 The sandfly bites may itch for a week, but the memories of Mount Yong Yap will stay with us for a lifetime.